Illustrations & Prints is a Rural Business Awards FINALIST! We're thrilled to announce that Illustrations & Prints have been selected as a Rural Business Awards Finalist for the South East Best Rural Creative or Media Based Business category! Louise Dunckley, owner and artist, was taken by surprise when Jemma Clifford, one of the co-founders of The Rural Business Awards (RBAs), personally picked Illustrations & Prints as her entry. 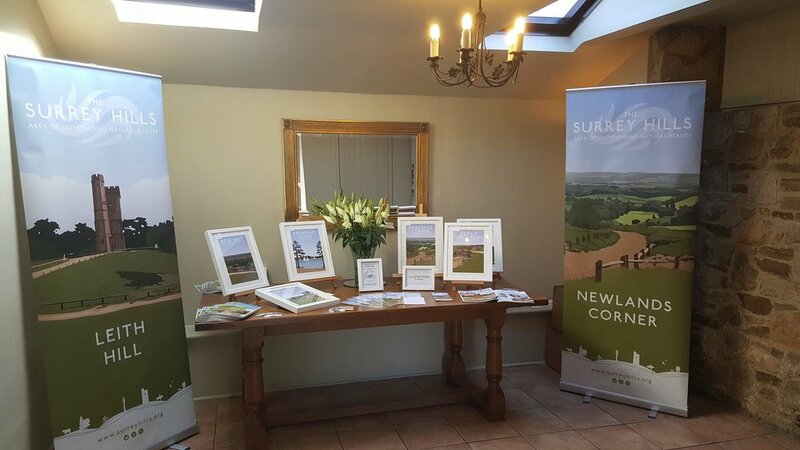 Jemma had spotted Louise’s prints being used in an extensive travel campaign across the county, encouraging visitors to the Surrey countryside. The aim of the RBAs is to give recognition to businesses operating right across the Rural sector, celebrating their achievements and acknowledging the breadth and depth of opportunity presented by the Great British countryside. The winners of the South East region will be announced at an awards ceremony on Tuesday 23rd October 2018 at Denbies Wine Estate, Dorking. Our fingers and toes are tightly crossed!